Mead... drink outside the box! We were so excited to be included among the Boozy vendors at the 2017 Newbury Bonfire last week. We knew it was going to be a cold one and folks might want something warm to sip. 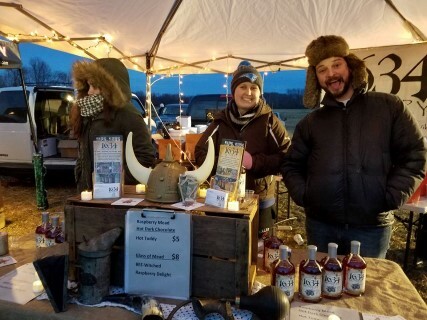 Our original intent was Viking Victory served in local HOT cider but we sold out of VV too fast! So instead we whipped up dark hot chocolate with a hefty serving of Rasberry Delight. OMG GOOD! Thank you to the Newbury Firefighters and Spencer Peirce Little Farm of Historic New England for letting us participate. Upcoming Markets, events, and more! 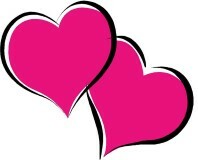 Join us at Mill 5 in Lowell on Sunday, February 12, 11 - 3 pm for a special Wine and Cheese Valentine's Day indoor market. This hip shopping spot is worth the road trip. There will be a few local wineries represented as well as local cheese makers and so much more! 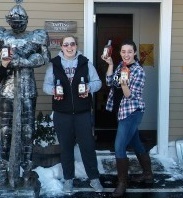 Please welcome our two newest Mead Family additions - Becca and Sydney! They will be helping out in the tasting and production rooms and at the many farmer's markets we have lined up. And yes, they ARE 21! To be honest, we got cleaned out of our mead stock over the holidays. But the good news is our last summers batches are almost ready (as long as formula and label approval by your government goes OK!). Friar Lukes - an after dinner sipping mead made with goldenrod honey and aged with cardamon. Jasons Blunder - A Strawberry, and...ah em Cranberry and Raspberry Mead. You've Heard of a Scotch Bar, Why Not a MEAD Bar? 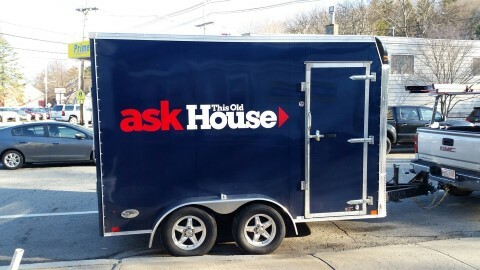 Planning a special birthday event, wedding, anniversary party or the like? Consider hiring us to staff a MEAD BAR! Mead is such a different beverage, ranging dry to semi-sweet to sweet, there will be something for everyone! Learn about this most ancient of feremnted beverages while getting your Viking on! Bring something unique to your gathering! See if we sell mead in your area: Check out our lastest locations at Where to Buy.